Your stomach contains a certain level of hydrochloric acid, bringing the pH level of your stomach from anywhere between 1.5 to 3.7. The lower the pH level, the greater the acidity and the more effective it will be at dissolving meat. In addition to the low pH level of your stomach, your body requires enzymes, such as pepsin, to help digest and further break down food in your stomach. Phosphoric acid, an acid that helps give a tangy flavor to many mainstream sodas such as Coca-Cola, Pepsi and Sprite, has a pH of approximately 2.7, making it acidic enough to corrode teeth and chalk. While the pH of soda is within the same range as the acid in your stomach, soda on its own cannot dissolve meat. That's because it lacks the additional enzymes in stomach acid that help actually break down and dissolve food particles. To test soda's effect on meat, you can perform a basic science experiment. Get a piece of steak, chicken and fish, all the same size, placing each piece in a bowl of the same size. From here, pour two bottles of Coca-Cola or another soda into each bowl. Let the bowls sit for five days, checking the results every day to note any decomposition. If done correctly, after five days the soda should not dissolve the meats in any way. While a basic experiment will reveal that the ability of soda to dissolve meat is merely a myth, the acidity of the soda could directly affect any bone within the meat. That's because the pH levels of most sodas are low enough to erode calcium, which is found in both tooth enamel and bone. Soda is used regularly in steak and chicken marinades to infuse a sweet and acidic flavor. While soda does not dissolve meat, the acidity does help to tenderize it, making the meat soft and flavorful if allowed to sit for extended periods of time, such as eight hours or overnight. The soda is often combined with a thickening agent, such as a BBQ sauce or ketchup, to help lock in flavor on the inside and outside of the meat. 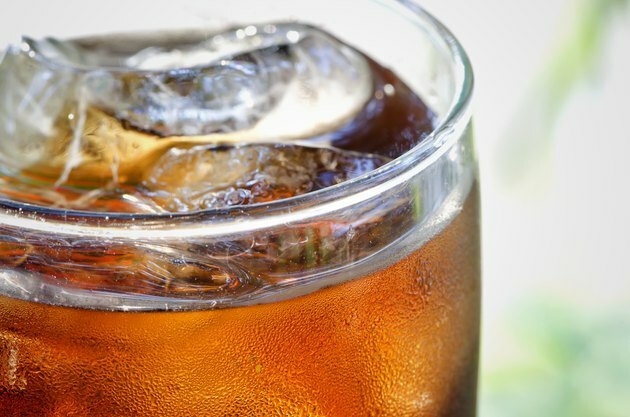 Can I Still Lose Weight If I Drink Soda Every Day? Can I Take Meat Out of the Freezer & Put It Right Into a Slow Cooker to Cook?